Artifacts is one of those retail products that I would steer anyone far away from, however, these 14/15 retail boxes were actually quite good. In past Retail Reviews I've been able to pull both memorabilia and autograph hits from them. I'm back at it once again with this box. I hope I get something good out of it! I'm not sure why Upper Deck decided to produce this type of retail product for Artifacts. It was definitely a different configuration than the standard blaster. Perhaps it was to specially promote their upcoming Ice product line. Each of these boxes have an Ice preview card inside. In any case, these boxes seemed to have much better odds of getting a hit or serial numbered card inside. Unlike standard Artifacts blasters, these blasters did have a retail price of $5 more than the $19.99 price of a regular Artifacts blaster. You did get 10 total packs to open though. When breaking a box of this, you get a nice stack of Artifacts base and a few nice inserts sprinkled within. I was able to pull some serial numbered cards out of this box, but sadly it did not have a memorabilia or autograph hit. 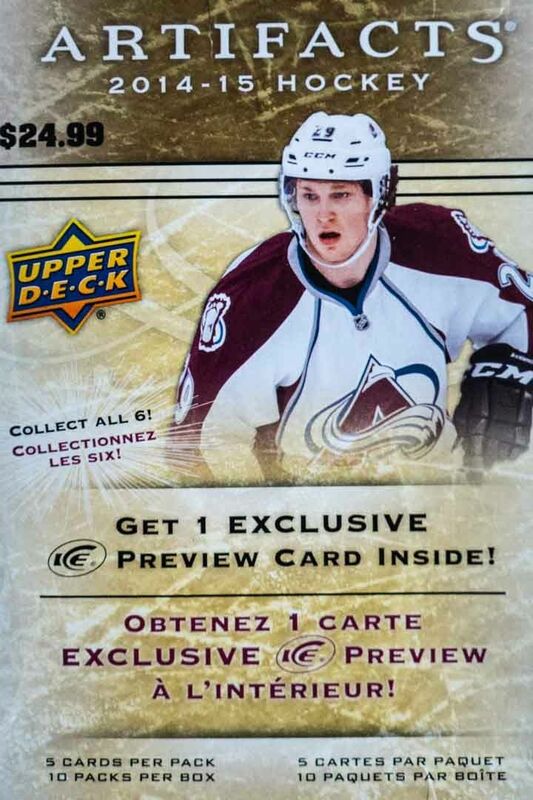 This box also disappointed in that it was missing the Ice preview card! I'm not too heartbroken over the missing Ice preview... but it was supposed to be there. It is not a good look for a company when something that is supposed to be there, isn't. The box states in large font that an Ice preview card is inside, so if I were a collector looking forward to that I probably would be pretty upset that it wasn't there. On a positive note, I did get some great base cards in the box. Artifacts is a smaller set so pulling the big NHL names isn't too difficult. 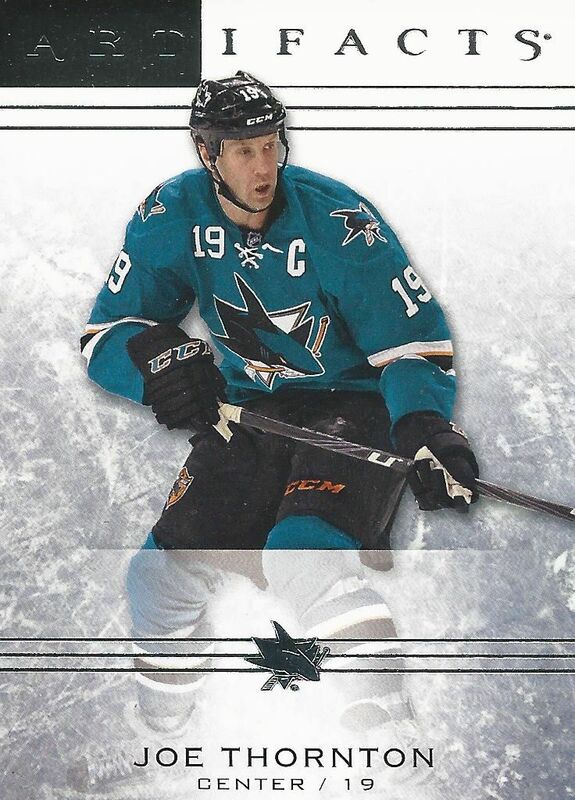 I pulled three serial numbered cards out of the box, but I chose to omit Kyle Turris' card for Thornton's because I'm a big Sharks homer. Jumbo Joe was the only Shark I pulled out of the entire box! 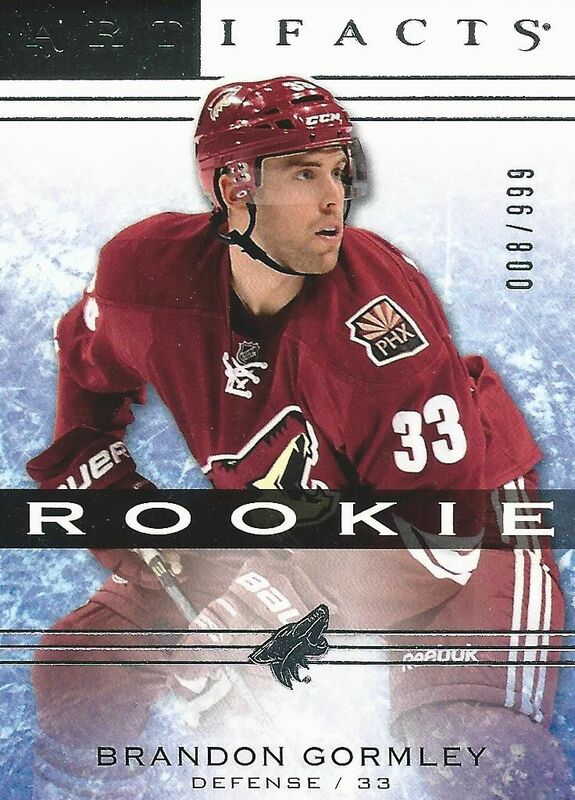 I suppose that this rookie card was the 'hit of the box' as Artifact rookie cards are pretty hard to come by out of retail. I was actually pretty surprised to see a rookie card out of this box, but I would have preferred some memorabilia or ink. 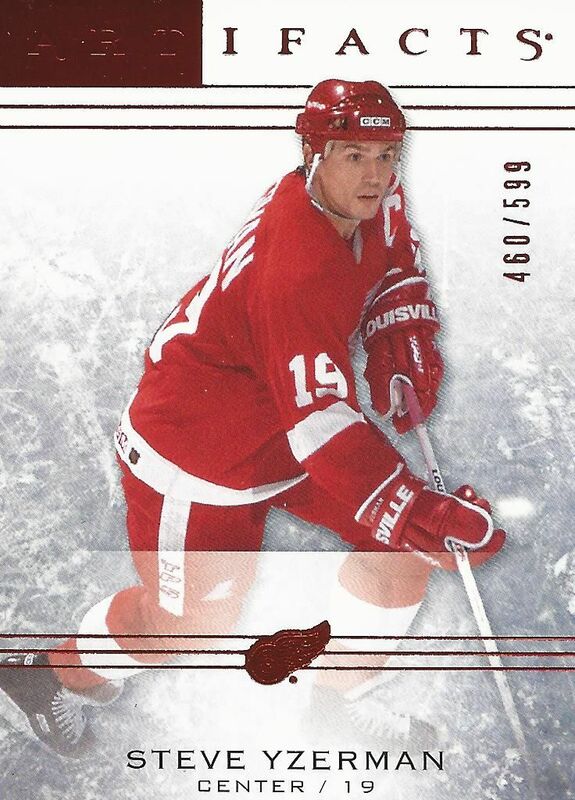 My favorite card out of the box was this Yzerman numbered to 599. Stevie Y was a legend and getting his cards are always good. The red foil on the card goes well with his Red Wing colors making this card look especially appropriate. I've had better when it comes to these 14/15 Artifacts retail boxes. This particular box was missing the Ice preview card and didn't have a hit in it. You definitely can't win them all, and this one wasn't that great, but I wouldn't dissuade anyone from trying these out though. Overall I think these may be the best Artifacts retail boxes you can buy. That was a good review of the retails you brought and hopefully you will get something good from them. It was nice to give the video review which really helped in understanding. This review demonstrates the clear advantages of the artifacts. We can see this literally in each of them. The collection of the cards is very interesting.